Your mouth and your heart might be more connected than you think! We always stress the importance of oral hygiene at GPS Dental. Most of our patients don’t realize what their oral health means for the rest of their body. 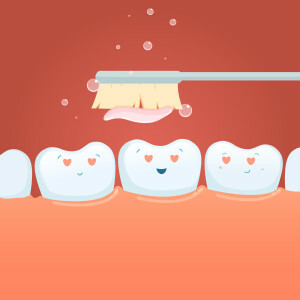 Since February is Dental Health Month, it seemed only fitting to explore what dental health can do for you! How Are Gum & Heart Disease Linked? Scientists are still working out exactly how the two diseases interact, but the studies they have conducted show it’s too much to be a coincidence. Gum disease is an infection of the tissue surrounding the teeth in your mouth, and it’s the leading cause of adult tooth loss. Even though it’s too early to tell what gum disease says about your overall health, it was associated with several significant health conditions, such as heart disease in the studies, even after other risk factors were eliminated. What does this mean for you? Approach your body’s health from a holistic stance. If one part of your body is failing, such as your gums, it could be a sign of other, more dangerous problems. Quit Smoking. Smoking cessation has been proven to reduce heart disease, and after only one year of being smoke-free, the risk for heart disease drops by as much as 50%. Eat Well. While there are many opinions on exactly what makes a heart-healthy diet, it’s generally agreed upon that foods high in sugar and salt, alcoholic beverages, and foods with partially hydrogenated vegetable oil are out. Get Active! Exercise is a key part of keeping your heart healthy. Click the link to see the recommended physical activity requirements for adults. Maintain Healthy Blood Pressure. Talk to your doctor about high blood pressure, as it’s often difficult to detect on your own. Quit Smoking. Not to sound like a broken record, but one study found that smokers were about four times more likely than nonsmokers to have gum disease. Again, your risk is reduced after you quit. Brush Your Teeth. Brush after eating, and remember to include your tongue! Floss. Flossing cleans parts of your mouth your toothbrush can’t reach. Make sure you floss all the way down along the gumline. Even if your gums and pearly whites are looking great, you should still be visiting your dentist for regular checkups! Give GPS Dental a call at (210) 633-3477 to schedule your appointment today!